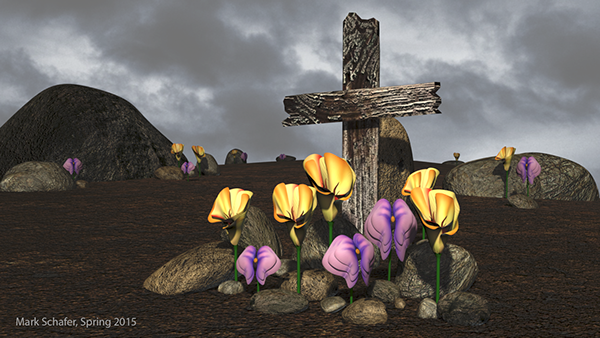 For this still life project, I decided to do an outdoor scene featuring flowers and rocks, and later added a cross to the composition for composition and storytelling purposes. I started the scene by placing the models in the scene and creating simple lights. 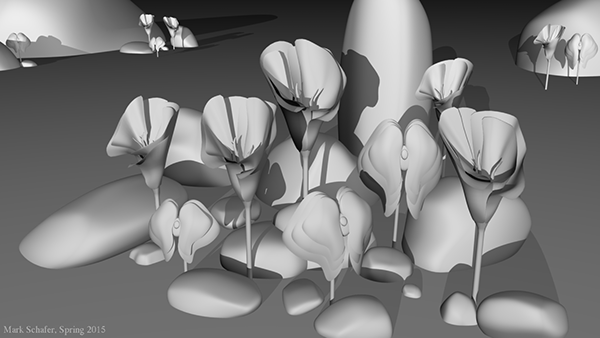 Next, I created normal and diffuse maps for the flowers and rocks. 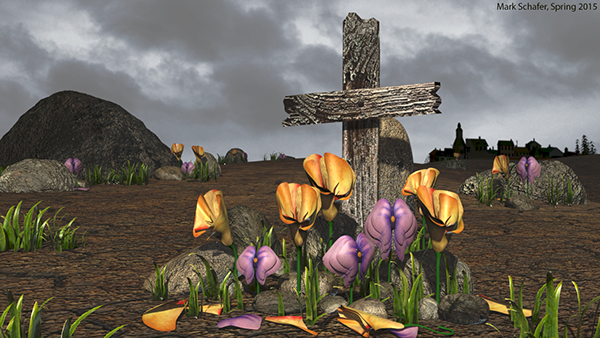 Here, I revised the scene to have a distinct focal point, the cross, and added specularity and further edited the flowers' and rocks' textures. I also edited the lighting to look more natural and warm. Finally, I decided to add a bit more life to the scene by adding grass, adding a dirt texture to the flowers, displacement maps to the rocks, a background city image, and other details. 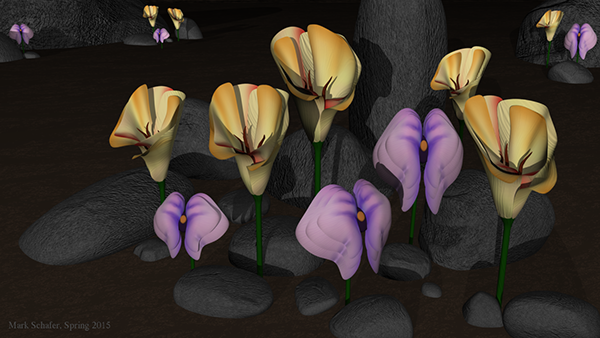 This scene was a still life I modeled, textured and lit using Autodesk Maya, Mudbox and Photoshop. The scene's focal point is the juxtaposition between the gloomy and harsh concept and environment, and the color and delicacy of the flowers and grass.